THIS ITEM IS NOT AVAILABLE AT PRESENT. WE WILL NOT BE GETTING ANYMORE Batman 1966 TV Series Premier Collection Statue. From the Batman collection by Diamond Select. 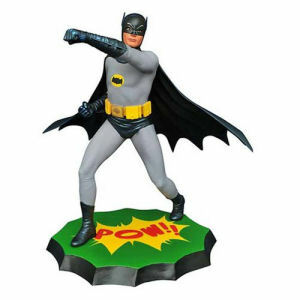 Batman 1966 TV Series Premier Collection Statue. This Batman statue is limited edition of only 1966 pieces and comes packaged with a certificate of authenticity in a full-color box. Measures 12 inches tall.